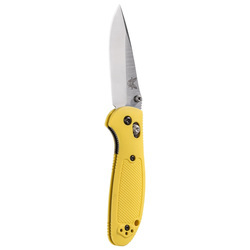 Benchmade relies on 3 M’s to set them apart. Materials must be durable and built to last, so that is why they use premium blade steels and strong, dependable handles. 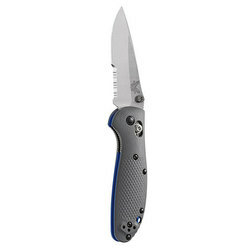 Mechanisms are what make Benchmade knives so reliable, and systems like the patented AXIS lock provide enhanced function. Finally, manufacturing is held to the highest standard by employing the precision of super-modern laser cutters and CNC machines that are generally used in the aerospace industry. These 3 M’s have helped guide Benchmade’s processes that churn out the kind of knives that they stand behind 100%. Originally founded during 1988 in California, Benchmade relocated to Clackamas, Oregon and set-up shop two years later. Like most young companies, big dreams were limited by scarce cash and second hand equipment, but their fortitude and passion for making the best knives ever led to impressive growth. As the company grew, so did their capabilities. 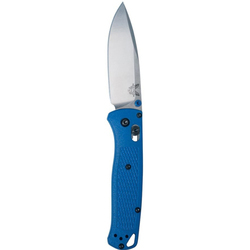 Benchmade began collecting new machines and utilizing advanced technologies, which included the first of their lasers, making them the original knife company to harness that kind of power in-house. Big thinking and positive attitudes have led to a company that now creates knives for a growing fan base across the globe. 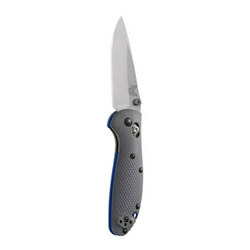 Benchmade knives for sale include a vast group of options that perfectly fit any activity or challenge. 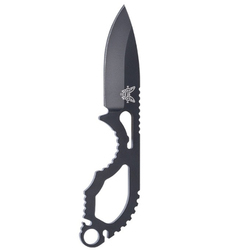 Knives like the 14460 Nitrous Blitz use an assist opening device that takes over once the blade is 30% open. So, pair that up with the thumb-stud opening, and you will never have trouble getting access to your blade when you need it. 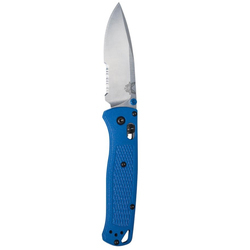 Variable edges like those of the 551SBK Griptilian Knife have a serrated blade that can be used towards the shaft, and the no-slip grip means you will be able to execute your task with extreme precision. 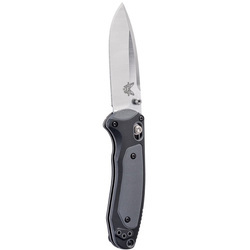 Having developed a reputation within the industry and the field for over 20 years, Benchmade takes pride in the quality of their products. Distinguishing themselves from the competition through processes and policies that hold them to the highest standard has given Benchmade the edge it needs to continue cutting a path to success. Leading by example and taking care of dedicated customers will always be Benchmade’s mode of operation, and their passion for what they do will remain as fuel for making the best knives in the world.